My home state has a program called “First Five,” which is designed with the goal of ensuring the health, well-being, and kindergarten readiness of all children. Emphasis is placed on the most formative years of a child’s life, the first five. My own daughter will turn five in less than two weeks, and in my first five years as a mother, I’ve relied on various resources. I’m sharing the following titles as a woman who previously had little to no experience with babies and toddlers, and I recommend all of them for other such parenting neophytes. 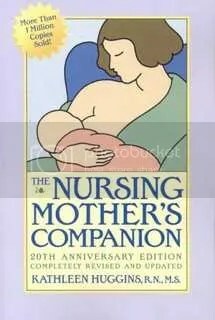 Since I had no idea whatsoever to expect from my first year of motherhood, this book was a true lifesaver. I can honestly say that in the first six months of my daughter’s life I probably referred to this book at least once a day. (You should know that I’m a bit neurotic. Normal people without my obsessive, perfectionist tendencies would probably only need to consult this book once a week or so). The decision to breast or bottle feed is obviously an incredibly personal one. For those who choose the former, true to its title, this book is a wonderful companion. As I’ve indicated, I was clueless about all things baby related, so this book answered a host of questions I didn’t even think to ask. Highly recommend this one. 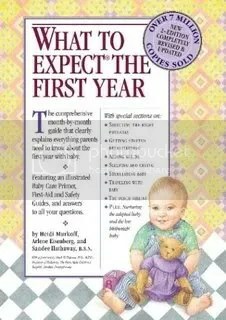 After the first year, this book replaced What to Expect as my go-to reference (and I stopped consulting it daily some time before my daughter’s first birthday). It has been especially useful when my husband’s Merck Manual is too much for me. Now, I also read The Happiest Baby on the Block and was disappointed. Someone gave me a copy while I was pregnant, and I was all set to swaddle my baby the way Karp recommends. Then I actually met my baby and she let me know in no uncertain terms that there would be no swaddling. So I wasn’t sure if Karp’s Toddler = Caveman ideas would be helpful. 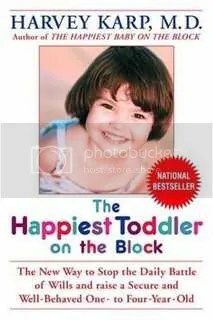 To my happy surprise, the ideas in this book did help me through 18-24 months, which was the most challenging part of toddlerhood for my daughter and me. This book is intended for one to four year olds, but I did not refer back to it after my daughter was two. This is an excellent resource on feeding and nutrition for babies and young children. 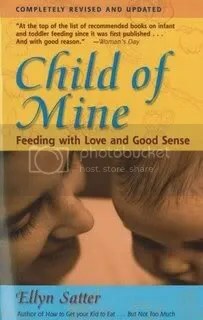 Satter emphasizes a division of responsibility in feeding: adults are responsible for what, when and where children are fed; children are responsible for how much and whether they eat. Between the problem of childhood obesity and the rise in increasingly bizarre diet and exercise programs for all ages, parents need to make it a priority for their children to develop healthy relationships with food. Child of Mine can set families on the right track from the very beginning. 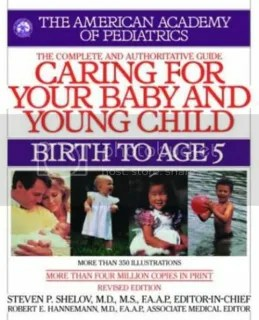 The above five titles are intended specifically for the first five years. I’ve also read a number of other books that are applicable throughout childhood and into the teen years. Here’s a list (with links but not annotations) of additional parenting titles that I recommend. I’ll be revisiting these over the summer as I make the transition from parent of a young child to parent of an elementary-school child. I can also recommend what to expect….. this book covered so many things, a real reference book. I had the happiest baby DVD and my son hated being swaddled until one night at around 1 month he was crying and crying so I grabbed a blanket in desperation and swaddled him and it was like a light switch, complete silence.